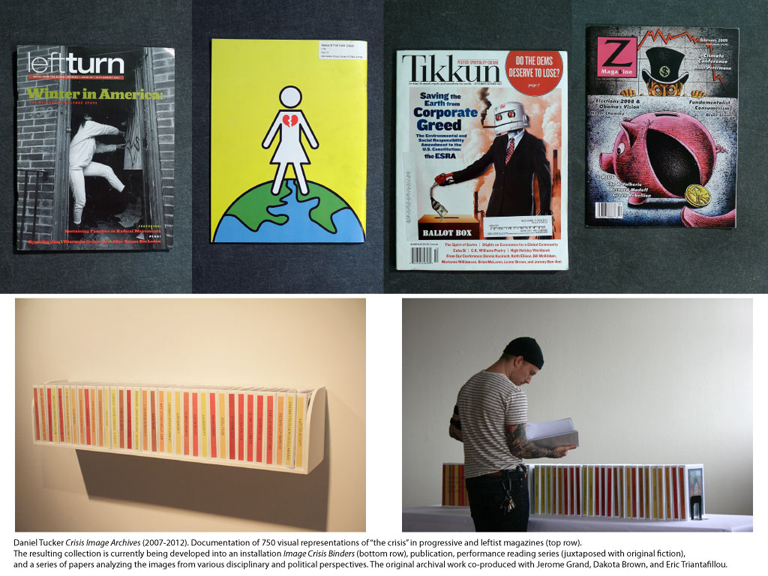 Art In These Times is a gallery started in 2010 to create an intersection between artists and activists interested in social justice issues in the underutilized office lobby of the long-running social democratic magazine In These Times. Since that time collaborations have taken place with: Justseeds, Iraq Veterans Against the War, Chicago Torture Justice Memorials, Project NIA, Jane Addams Hull House Museum with Conservative Vice Lords, Alternative Press Center, Next Objectivists Poetry Workshop, AREA Chicago, Jesus Macarena Avila, Nicolas Lampert, Lauren Cumbia and the 2011 Working-Class Studies Conference. The gallery is now run by Ryan Griffis and In These Times staff. NTS is an ongoing interview project that began as a series of discussions in 2010 and was launched in October of 2011 with interviews posted online at never-the-same.org. 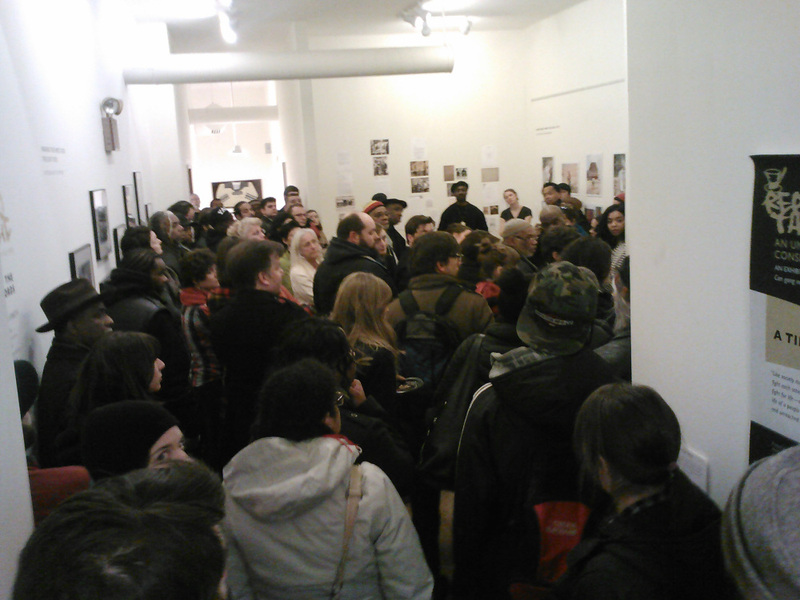 The interviews deal with personal histories of social and politically-engaged art in Chicago. In addition to the interviews, NTS created an archive of materials and ephemera collected from Chicago’s social and political art communities that is now held at the Newberry Library. 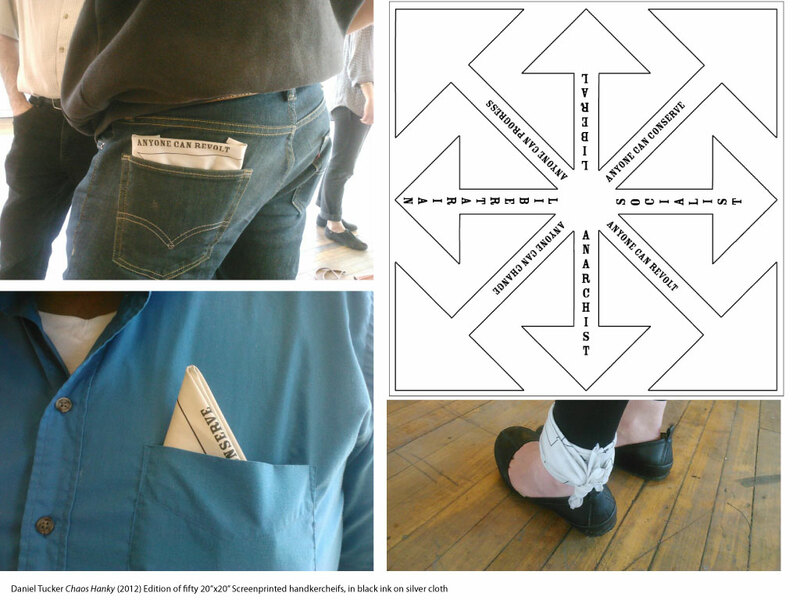 In 2013 NTS developed the Unfurlings series of show-n-tell events, a grassroots archiving symposium, an adult education seminar series about local political art history, and an exhibition of five new commissions by Chicago artists dealing with our archival materials. The results of this process were published in a catalog that can be bought Here and downloaded Here. NTS is co-organized with Rebecca Zorach. Creative Ecologies: Interview Project Check out the 6 interviews I conducted while at “Creative Ecologies” here. In November 2011 I collaborated with local filmmaker Deborah Stratmanto program an evening of videos on the theme of POWER culled entirely from YouTube. The event was hosted by the Nightingale Theater as part of the irregular series Youtube Assembly/Homeroom Chicago which regularly features a pair of artists brought together to show videos in an intimate setting. Stratman and I decided that our interests in the theme could intersect around the desire to be on or off various kinds of power grids – ranging from electrical to political. Themes of survivalism, welfare, social democracy, solar power, humanure, libertarianism and anarchism were explored. (see entire playlist here). 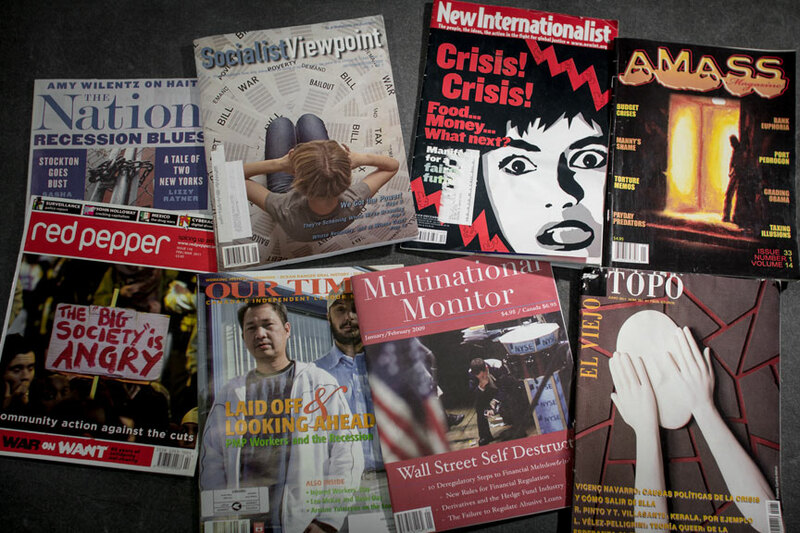 Crisis Image Archives is a research project documenting all of the visual representations of “the crisis” appearing in the last 5 years of the 300 magazines and journals archived in the Alternative Press Center. Totalling 750 images, these illustrations and photographs compose a record of the collective visual imagination of the international political and cultural left. Frequently used graphic tropes portraying bankers, fat cats, Keynes, Marx, Obama and protesters are found alongside more surprising depictions of agony, desperation, and holistic futures. The first incarnation of this touring exhibition presented photographs and binder archives at Art In These Times gallery (Chicago, IL) from June – September (2013) and later traveled in October – December (2013) to Charlotte Street Foundation (Kansas City, MO), from November (2013) – January (2014) to PNCA’s Project Space (Portland, OR), and finally from March – June (2014) to The Compound gallery (Baltimore, MD). As part of the exhibit in Kansas City, I worked with Wendy Vong to design this zine of “Historical Excerpts” from the archives of In These Times magazine about the representation of past crises. 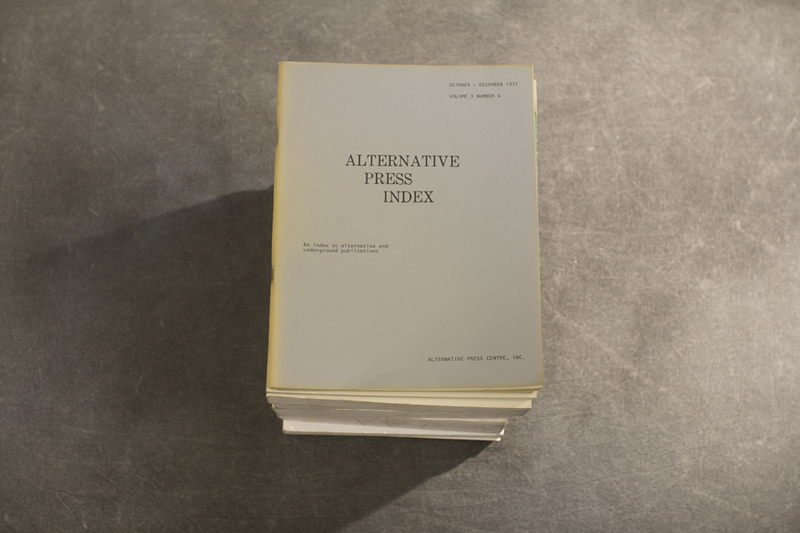 It now permanently resides in theAlternative Press Center Library and is documented online at http://crisisimagearchives.tumblr.com. Crisis! Crisis! 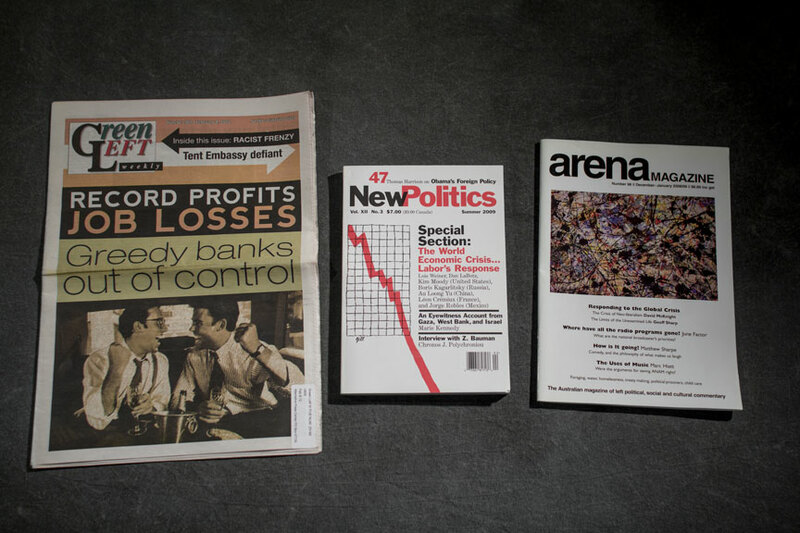 is a series of photographs and written pieces inspired by the Crisis Image Archives. Download my manifesto, Recessionary Affects #2: We Failed To Understand What The Images Told Us But We Will Not Fail Again – a look back at the Crisis Image Archives, written in response to the photograph above. Download my fable The Rancher the Fence and the Rippling Image which was written in response to the photograph Suits, Charts and Abstractions. Indexing Crisis since the Nixon Shock/Bretton Woods termination (1971) – including the Stockmarket Crash/NYC Fiscal/Oil Crisis (1973), Mexican Weekend/Latin American Debt (1982), Black Monday (1987), Savings and Loan Crisis (1990), Asian Financial Crisis (1997), Russian Financial Crisis (1998), Dot.Com Bubble/Argentine Debt Default (2001), Global Financial Crisis (2007), and European Debt Crisis (2010). Curriculum: a spring course at UIC utilizing the NTS interviews as readings; a summerseminar at the University of Chicago throughout July and in the fall at the Newberry Library. An exhibition of commissioned art works developed by local artists in response to materials in the NTS archive, interviews, and programs. And finally a physical publication documenting the year of programs and related projects to complement our ongoing web publishing. An Artists Congress (organized in collaboration with Michael Rakowitz from Northwestern University, Susy Bielak from The Block Museum and Daniel Tucker from Never The Same) was a multi-faceted planning process and public event on May 17th, 2014 at Northwestern University’s Block Museum in conjunction with their Left Front exhibition addressing politically-motivated printmaking from the 1930s. The Congress process started with a prompt from original member Louis Lozowick’s question “What Should Revolutionary Artists Do Today?” as its inspiration (featuring dozens of responses here) that was repeated through a series of planning meetings held at the Chicago Cultural Center and Block Museum throughout the early months of 2014 (including those listed here), leading to the collaborative writing of an open call text (available here). The day long event featured presentations and performances by John Murphy, Christina Kiaer, Paul Durica, Eric Triantafillou, Don Washington, Romi Crawford, Baraka de Soleil, Michael Kramer, Anthony Romero and Nicole Garneau (see bios here). And in recognition of the work of artists collaborating with social justice organizations, the organizers of the Congress reached out to six such organizations working throughout Chicago to oﬀer the names of artists making meaningful contributions to their work who would be interviewed and given a cash award. The nominating organizations include: Teachers For Social Justice, ARISE, Chicago Alliance Against Racist and Political Repression, Grassroots Collaborative, Southside Together Organizing for Power, and Community Justice for Youth Institute. For more information see artistscongressopencall.com, download a pdf of the program booklet (featuring interviews with nominated artists) and see a full video of the program here. Ten years after his death and 25 years after the fall of the Berlin Wall and Ronald Reagan’s departure from the office of the President of the United States, this work grows out of an interest in the continued echoes of a speech delivered by Reagan following the end of his Governorship in California on August 19th, 1976 at the Republican National Convention in Kansas City, Missouri. In this speech Reagan talks of the difficulty he found in writing a letter for a time capsule to be sealed in Los Angeles and opened one hundred years in the future. Departing from this moment Future Perfect explores Reagan’s future-oriented science fiction imagination and rhetoric through visits to Reagan-inspired monuments and time capsules throughout California. The video has been screened at Veggie Cloud (LA), Grand Central Art Center (Santa Ana), Hyde Park Art Center (Chicago), Slought (Philadelphia), Interference Archive (Brooklyn), Spaces (Cleveland), and the Galleries at Moore (Philadelphia). The video was profiled in The Baffler magazine by Rick Perlstein and also received some coverage Hyperallergic, Geekadelphia, New Santa Ana, the Humboldt Country Times Standard, the Redwood Times, and the Orange Country Register. 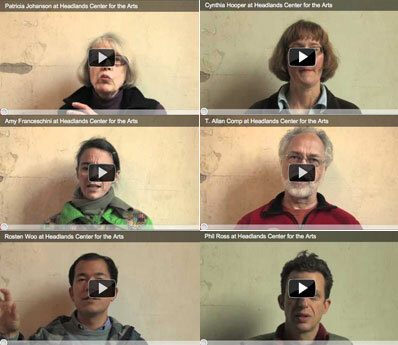 Some blogposts detailing the process of working on the film were produced by the Grand Central Art Center in December 2013, May 2014 and July 2014. Funding: The work was made possible through support of the artist-in-residence program of Grand Central Art Center – a unit of California State University, Fullerton, with partial funding support from The Andy Warhol Foundation for the Visual Arts.Thank you in particular to John D. Spiak and Tracey Gayer. A short document made at the height (before the decline) of Occupy Chicago for youtube. Make The Road is a music video set to the improvised percussion of Chicago drummer Theo Katsaounis (Joan of Arc, Locks, Hey Tonal, et al ad infinitum), inspired by the words of poet Antonio Machado in “Proverbs and Songs 29” from Campos de Castilla (1912). While a stand-alone music video, portions of this work are a part of a chapter of my 2018 feature-length video Local Control. In early 2013 I teamed up with the curatorial staff at the Jane Addams Hull House Museum to make a video trailer for their exhibition Unfinished Business: Twenty-First Century Home Economics. Canning peaches. Sewing a dress. Baking a batch of snickerdoodles. These are familiar images of Home Economics, but they do not tell the whole story of the movements’ past, nor do they engage with the radical potential of its future. The new exhibit tells the untold story of the first generation of home economists who were equal rights advocates, chemists and public health advocates, labor reformers and innovators who sought to redefine domesticity. Filled with participatory experiences and hands-on activities, the exhibit describes the home economists’ visionary work to create a world with healthy food for all, fair labor practices for domestic work, ethical consumerism, and community childcare solutions. The Museum is partnering with activists and artists including Chicago Coalition of Household Workers, Frau Fiber, Chicago Childcare Collective, the Academy for Global Citizenship, the Center for Urban Economic Development at UIC, Street Level Youth Media, and the Collective Cleaners to create imaginative exhibition experiences and connections to Hull-House history and our contemporary moment. *Special thanks to Heather Radke and Mekaila Arnold for their help with the video.